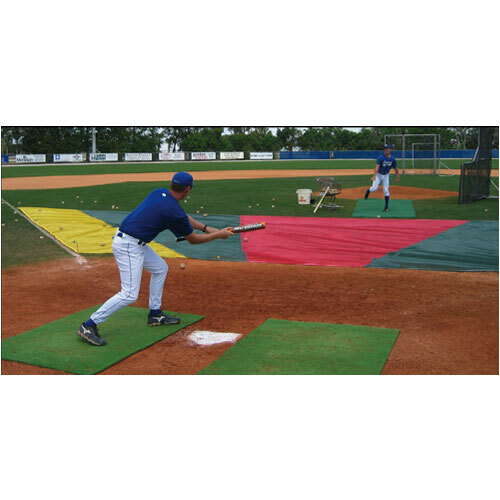 Saves turf and teaches by visualization the correct placement of bunts for hit (yellow) or sacrifice (green). Avoid red area for bunting, hit-and-run, and pull-hitting, but go to it for up-the-middle hitting. Highly spike-tolerant 9 oz. industrial vinyl-polyester mesh with UV and mildew inhibitors. Fusion welded seams and full perimeter, double stitched, webbing-reinforced hem with 10 grommets installed. Includes low profile ground stakes.